The majority of the world’s auditing services are performed by only four accounting firms. Known as the ‘Big 4’, these firms completely dominate the industry, auditing more than 80 percent of all US public companies. In addition, these mammoth organizations advise on tax and offer a wide range of management and assurance services. Although usually identified as single companies, each one of the Big 4 Accounting Firms is actually a network of independent corporations who have entered into agreements with one another to set quality standards and share a common name. Deloitte LLP is the number one firm in the United States (and in the world). The company began as the separate companies of William Deloitte, Charles Haskins, Elijah Sells, and George Touche. 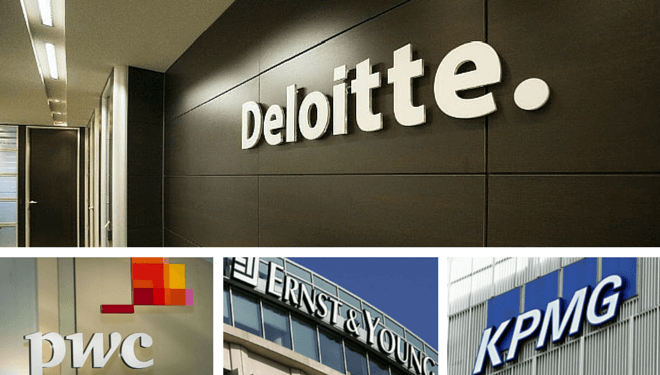 The three companies eventually merged to become Deloitte & Touche. Today the company is known primarily as Deloitte LLP, and has four subsidiaries: Deloitte & Touche LLP, Deloitte Consulting LLP, Deloitte Financial Advisory Services LLP and Deloitte Tax LLP. Over time the company has merged with other companies or bought them out completely and created subsidiaries to become one of the biggest firms in the world. The company is one consistently voted as one of the best employers to work for by Fortune Magazine. They hire many of their entry-level employees through universities where they have programs. (How to get a job with Deloitte). They also have one of the higher average salaries for starting workers at $70,698. In 2018 the firm reported an astonishing $35.2 billion in revenue, the company has continued to grow over the past four years on average 7%, even with the recession. Their approximate annual growth for 2015 was 8%, which is the highest out of the big four accounting firms. 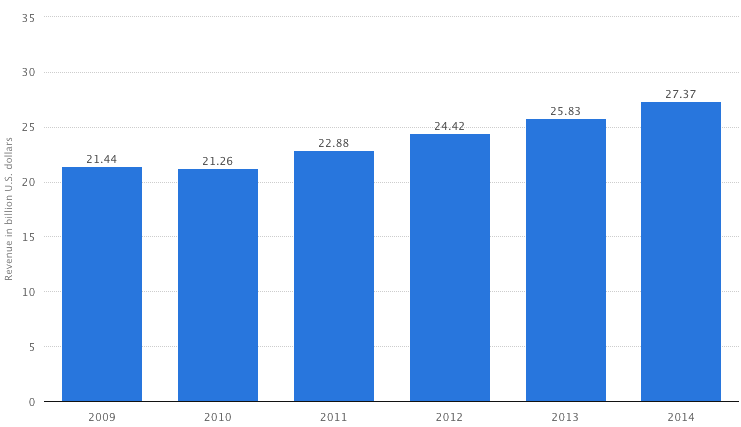 They have maintained this growth rate over the past four years. In 2012 the company built Deloitte University to train its current and future employees. They also offer internships and training seminars at the University. They are hoping to reach out to broader spectrum of people who are looking to work in the industry. Because the company has 4 subsidiaries, they offer a wide range of employment opportunities. A prospective employee can work in categories such as consulting, financial advisory services, taxes, growth enterprise, and many more. Deloitte has several recruiting teams that visit college campuses across the country, hoping to recruit those who have taken classes involved in their partnership program. Some of the universities that have these programs are Columbia Business School and Duke University. However, there are more than 20 schools that offer Deloitte accounting curriculum. Deloitte and its subsidiaries have more than 600 offices in more than 150 countries. Including offices in just about every US state, from California to Florida. PWC (PricewaterhouseCoopers) is ranked as the number two accounting firm in the world. The company founded by Samuel Lowell Price began in London, 1849. PwC has grown over the years, merging with Holyland and Waterhouse, then a final merger game in 1998 when Price Waterhouse and Coopers & Lybrand came together to create PricewaterhouseCoopers. The firm went on to shorten its brand name to PwC in 2010, however PricewaterhouseCoopers remains as the full legal name of the organization and is the name that is used by PwC firms to sign company audits. Like Deloitte, PwC has seminars and training programs for its current and prospective employees. The difference is that their program is online, free, and available to the public. Those who are looking to earn CPE credits (Continuing Professional Education) can do so on the PwC Open University website. 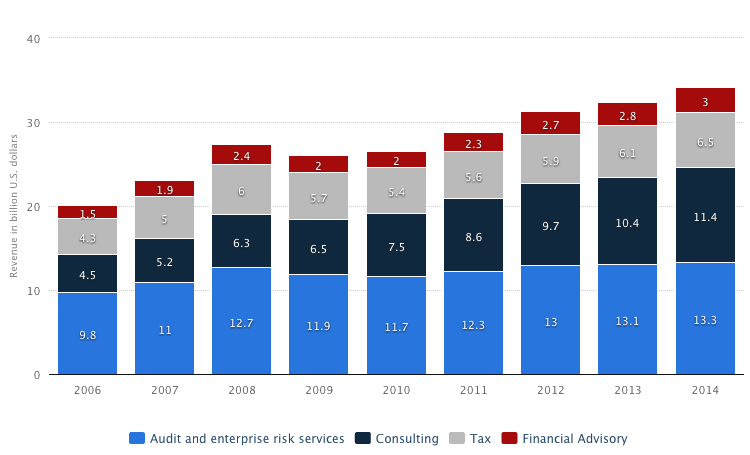 Like Deloitte, PwC has maintained a steady growth in revenue over the past 10 years. In fact, PwC’s gross numbers are challenging Deloitte for the top spot. PwC offers a large selection of services to their clients including: Audit & Assurance, consulting, IFRS reporting, tax services, and others. This afford great opportunity for current and potential employees to find their specialty within the company. Additionally, PwC is considered one of the best large companies to work for. This past year, they ranked number two in Diversity Inc. magazine. Ernst & Young is rated number three out of the top 100 accounting firms in the world. The firm was formed by the merger of two companies, Arthur Young & company and Ernst & Ernst. Interestingly enough Arthur Young and Alwen Ernst never met in life. Their companies merged in 1989 to form Ernst & Young, long after the two had passed away. Both men opened their original firms with their brothers, and passed away within days of each other. Today this big 4 firm stands tall and is located in more than 150 countries with more than 700 offices. They offer a plethora of services such as assurance, taxes, advisement, transactions, and many more. Offering such a wide range of services allows the company to cater to a very diverse group of employees. Ernst & Young are continually rated in the top five in DiversityInc Magazine’s top 50 places to work. 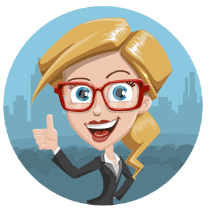 Having so many areas of interest, anyone in the accounting trade is sure to find a position that suites their specialization. Ernst & Young offers training programs online and on the job, however the materials and class resources are not available to the public. KPMG is last of the big four accounting firms with more than 670 offices located in over 150 countries. The firm was originally established in 1911 when William Barclay Peat & co. merged with Marwick Mitchell & Co. to form Peat Marwick. In 1987 the firm merged with KMG to form what is now known as KPMG. The firm changed their name a few times over the years but ultimately decided to stick with KPMG. The firm has been consistently voted as one of the best places to work by DiversityInc Magazine and currently holds the number 23 spot on the list. Which means it hosts a very culturally diverse work environment and works with companies that are not yet as successful. KPMG offers three main services. These include audits, advisory services, and taxes. However, these three services can be broken down in many sub-services making KPMG a full-service firm. KPMG has a website that offers free webcasts, self-education, and other resources for those who wish to learn online. Utilizing these tools allows college students and current professionals to earn CPE’s. In addition, to online tools, the firm also offers in-person classes, seminars, and symposiums that may also offer CPE’s. Like the other big three big four accounting firms, KPMG does much of its recruiting on college campuses, seeking out the best and brightest to add to their big 4 firm. Working for one of The Big Four Accounting Firms is a prestigious honor and a goal for many accountants. Having been employed by a Big 4 Firm carries a lot of weight in the industry and can offer you career opportunities you couldn’t get elsewhere. Below we’ve outlined the 7 steps to become a big 4 accountant. The first thing any aspiring accountant should do is clearly identify your goals. 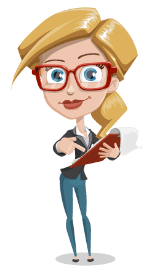 • What type of work do you want to do (auditing, taxation, consulting)? • Where would you like to work (local, abroad)? • How important is salary and job title? Once you’ve answered these basic questions, the next step is to find out what qualifications are required for the job you want. What degrees, licenses, and certifications are needed, and how long does it take to acquire them? This will determine what type of schooling you’ll need. Once you’ve identified your ideal position in the accounting world, the next step is to get your education. Almost all accounting positions will require a college degree. However, the type of degree will depend your goals. You can major in something broad like business or accounting, and specialize in something more specific to what you want to eventually be doing. Every go to accounting school will push you to take and pass the CPA exam. This is a good thing because having your certification will help you get job opportunities and promotions that you otherwise wouldn’t have access to. 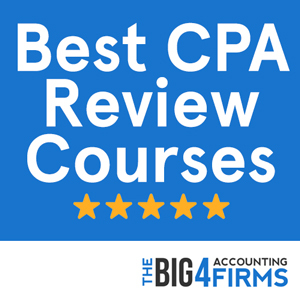 Also all three colleges will give you access to the best CPA review courses, so you can properly prepare for the CPA exam. There are too many degree combinations to go through them all now, but just be aware you have many options here. Typically the Big 4 recruit from a collection of well known universities like Notre Dame, BYU, University of Texas, ect. If you can afford these schools and have both the grades and the ability to relocate, we would advise going this route. For those who don’t have enough time, can’t afford the high tuition costs, don’t have the grades, or aren’t able to relocate, an off-campus option may be your best bet. If it turns out this option isn’t for you either, there is always community college to get you started. While completing your education we recommend getting as much hands on experience as possible. Most public accounting firms offer internship programs. 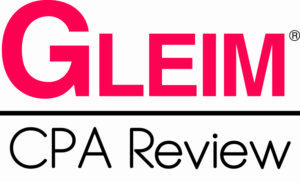 If your goal is to become a Certified Public Accountant, you will need to take the CPA Exam. This is a very difficult four-part test, with additional school credits, and real world experience required. We have some resources for this test here. Just like any other job, accounting requires resumes for new hire candidates. There are many resume strategies, but we simply recommend that you make it clear you are qualified, then offer something that differentiates you from the crowd. This can be anything, so be creative. When you make it to the interview stage you know you’re close, so prepare accordingly. Dress sharp, be on time, know specific details about the company you are interviewing with, and be prepared to ask them questions. Again, this is where you want to separate yourself. Make sure they remember your name. Also, do your best to relax. At this point in the game, everyone they are talking to is qualified, so more often than not, they will hire someone they think they can get along with. That’s it. I know it seems like a lot on paper, but if you follow these steps, things tend to fall into place. You’ll learn something here, meet someone there, and it will all contribute to you eventually landing the job (and career) that you want. Remember, what’s important is not where you start, but where you finish. So, for those who think it’s too late, it isn’t – don’t be too scared to get started. Establish your goal, and make sure to take one step towards it each and every day. It may take a several years, but you’ll get there. Even the smallest of the Big 4 is several times the size of the 5th largest firm and industry experts believe it is unlikely that any existing corporation will ever be able to match the size of the major players. This is partly due to the fact that, until the late 1980s the major accounting firms were known as the Big 8 and included the likes of Coopers & Lybrand, Ernst & Whinney, Deloitte Haskins & Sells, Arthur Andersen, Price Waterhouse and Touche Ross. In 1989 the Big 8 became the Big 6 following the merger of Ernst & Whinney with Arthur Young to form Ernst & Young, closely followed by the merger of Deloitte, Haskins & Sells with Touche Ross. In July 1998, Price Waterhouse merged with Coopers & Lybrand to form PricewaterhouseCoopers, further reducing number of market leaders to five. The last major change to the fortunes of the global accounting firms followed the collapse of the Enron corporation which was audited by Arthur Anderson. In the aftermath of the collapse, the company was found guilty of criminal charges relating to its business practices. Although the conviction was eventually overturned, the damage to its reputation meant Arthur Andersen was unable to recover and eventually sold most of its business to members of what would come to be known as the Big 4. Big companies see it as a mark of prestige to have their audits carried by a member of the Big 4, even though the cost of such a service may be significantly higher than what would be charged by a smaller firm carrying out exactly the same work. This same notion of prestige also applies to all those working for the Big four. New graduates looking for careers in the financial services industry face fierce competition for the places that are made available each year, knowing that spending time with one of the Big 4 is the equivalent of obtaining a degree from an Ivy League university and will put them on the fast track to success. Looking ahead to the future for “The Big Four”, things look bright. 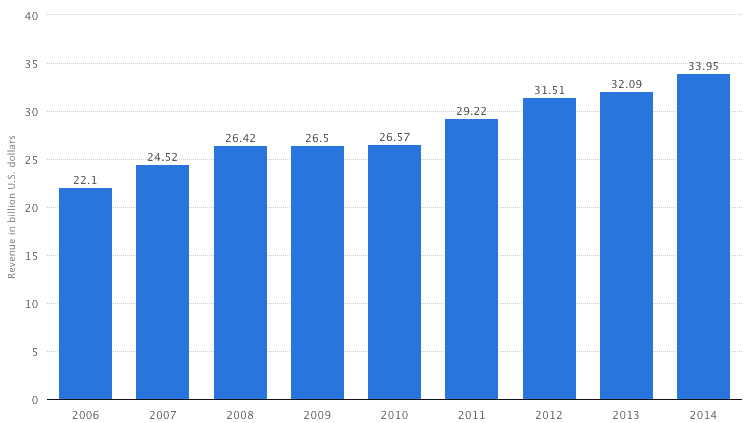 Although growth has been slow for some, the fact remains that they are continuously growing. The mergers and acquisitions that happened in 2015 will hopefully allow them more growth and higher revenue opportunities in the 2018 fiscal year.